A bakery firm established in the 1960s in Northampton, and with roots stretching back to Victorian times, has been saved after its creditors agreed to accept a repayment deal. 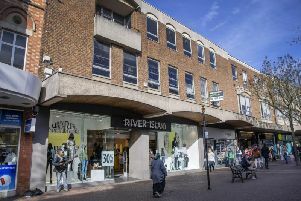 Oliver Adams shut at least 12 stores last week after it emerged the 1969-established company had run into trading difficulties. Some stores, managing director Mark Jarvis had admitted, were losing money “hand over fist” including the Corner House in Wood Hill. Last week practitioners Business Recovery and Insolvency (BRI) Limited confirmed it has been working with Oliver Adams to try to pay a list of outstanding creditors. It is not known how many suppliers were owed money by the firm. This morning it has been confirmed those firms agreed to a Company Voluntary Agreement (CVA) at a crunch meeting at the Cheyne Walk Club yesterday, which will allow Oliver Adams to continue trading and avoid the firm going into administration or liquidation. Joint supervisor, Peter Windatt from BRI in Northampton, said: “I am very pleased creditors have voted in favour of the CVA, the hard work starts now for the company to meet its obligations pursuant to the CVA. “What was key to this successful first step on the road to recovery is that the directors sought our professional advice early, which has helped in achieving this result. Though sources inside the company believe as many as 60 redundancies have been made, the firm still employs around 200 people. At the meeting of creditors yesterday, “99 per cent” of the firms owed money agreed to the CVA. It is understood the firm owed money to 164 creditors. They included suppliers and the landlords of the store buildings as well as monies owed to the taxman.